On my recent quick trip to Beijing I made time to visit two craft breweries. 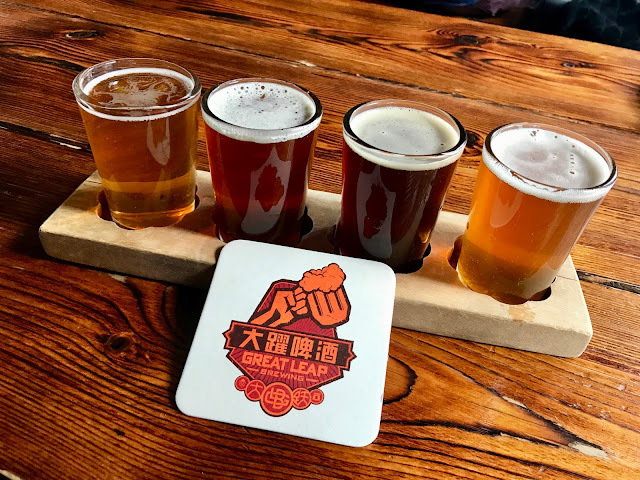 One of them was Great Leap Brewing (大跃啤酒). There are three Great Leap locations in the city but my schedule only allowed me to choose one. Great Leap #45, a pizzeria in the Chaoyang District, was on my way to the airport, so that's the one I selected. The #45 Building The taxi driver dropped me on a street corner near the brewery and it took several minutes of desperately walking around and employing the help of an English speaking stranger to help me find the brewery entrance; it was off a side-street and not highly visible. The brown building was utilitarian looking. It appeared that the brewery consumed the entire ground floor, with apartments on the upper floors. 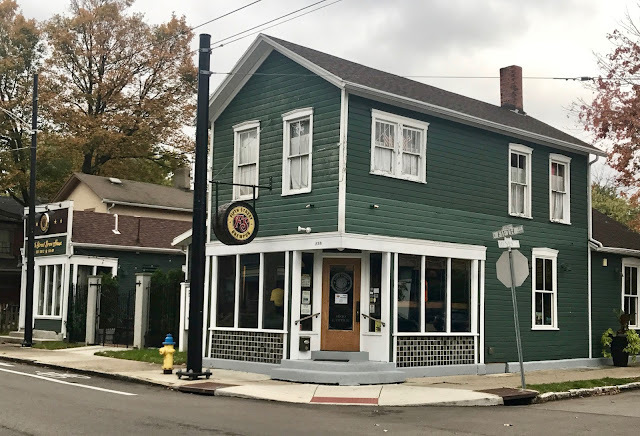 Dayton, Ohio, USA has some breweries with unusual concepts. 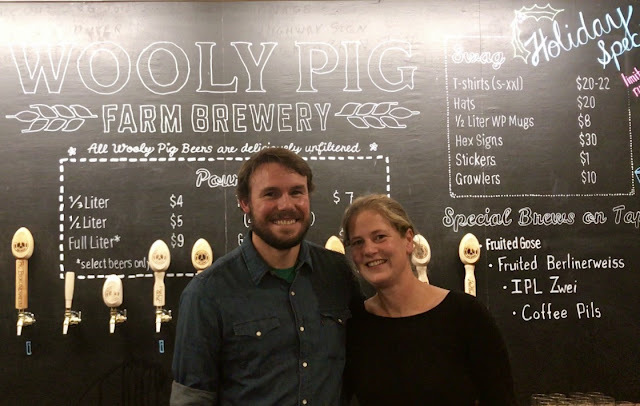 My next featured brewery is Fifth Street Brewpub, which operates with a co-op model. Customers do not need to join the co-op, but if they do, they become member-owners with a share of the business for only $125. 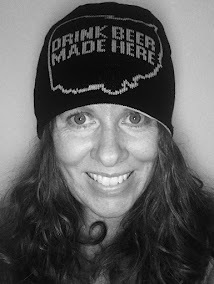 My friend Shelly and I don't live in Dayton, so we chose not to join, but we did enjoy our visit to the brewery. Atmosphere Driving up to Fifth Street, the brewery is easy to find. It's a set of two green buildings on a street corner in the St. Anne's Hill neighborhood. The main building might have been a house or a corner store when it was new; it contains the bar, the dining room and the kitchen. The smaller building is the brewhouse, and in between the two buildings is a beer garden that would have been a wonderful setting for sipping beer had the weather been warmer on our visit. It was too cold to drink outside, so Shelly and I sat down at the bar and were greeted by Mary. My recent visit to Hefei, China was for purposes other than touring breweries, but I still managed to visit one local brewpub. 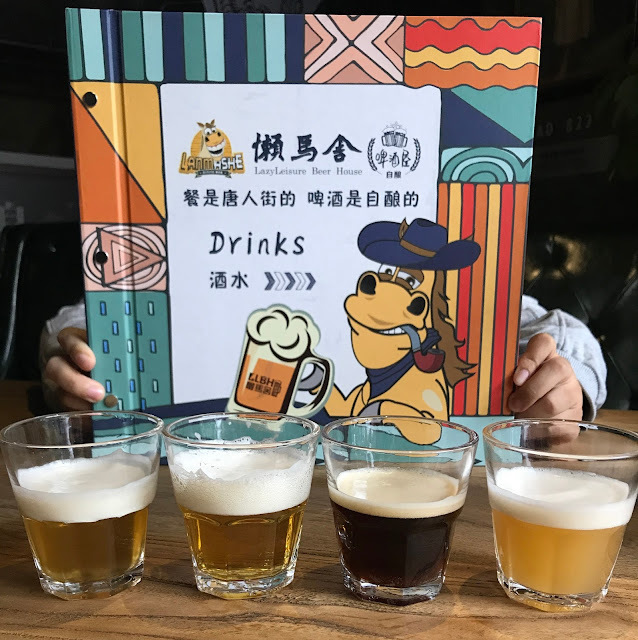 Many thanks to my hosts in Hefei for giving me the opportunity to meet the team at LazyLeisure Beer House (懒马舍), something I would not have been able to do on my own.